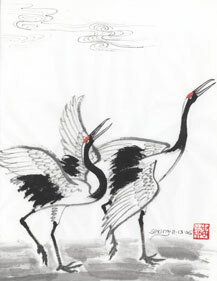 Home / "Cranes," Prints, 8" x 11"
In Chinese culture, the crane “He” (pronounced similar to “Her” in English) is the “Patriarch of the Feathered Tribe.” The ancients considered the snowy white plumage as a sign of purity, while the signature red cap represented “fire” or “vitality.” While the dragon was an exclusive privilege of the emperor, the crane was used by first rank officials, so the crane was referred as the “First Rank Bird.” To the Chinese, the cranes were “Tian He” (heavenly cranes) since Taoist deities and enlightened beings were transported on their backs between heavenly realms and the earth. 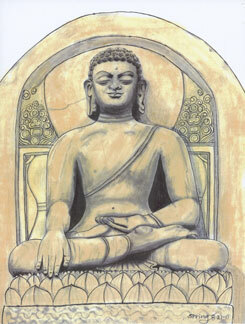 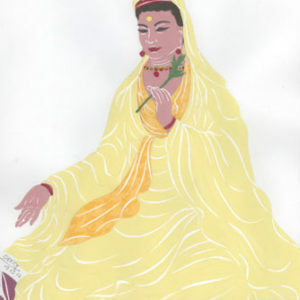 They also took deserving souls into the Paradise of the West and people to higher levels of spiritual awareness. 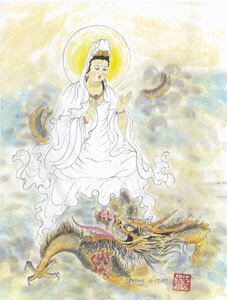 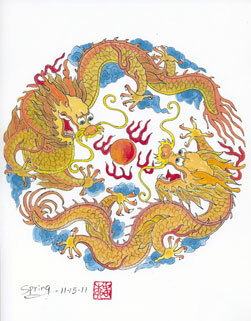 It carries one of the vehicles of the Eight Immortals. 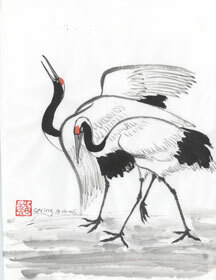 It is for this reason that over the centuries, the crane has come to mean so much to the Chinese and it symbolizes peace, good health and long life. 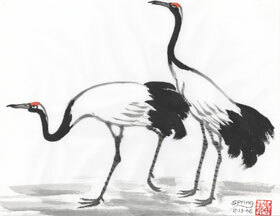 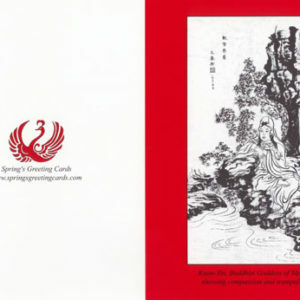 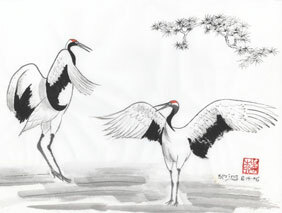 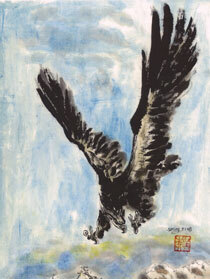 Here are my Chinese ink painting of cranes to wish you peace, good health and long life.